This is one of those books I read after I've first read about the author, and have become intrigued by their personality. 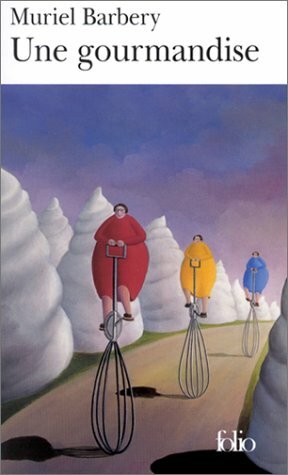 Une gourmandise by Muriel Barbery, is the first of the two books the author has written, before giving up writing and moving from France to Japan. The book covers the last days of a famous food critic and his attempt to remember a type of food from his childhood which should epitomise the absolute "taste". It is a very long journey down memory lane, with detailed descriptions on his first / best experience with all staples of cooking: from the humble tomato, to the multi-tasking bread, to the fresh sushi... Together with his re-discovery of past dishes in his life, we also encounter his "entourage", thereby getting to know his real character, which is far from nice. I found Barbery's writing style and technique very good, which makes it easy and relaxing to read this book. I could not, however, find the content was that exciting, even though I consider myself a foodie. At times, I rather felt sorry for the main character, who would regard food as his only pleasure in life - the proof is that nothing from all these descriptions has stayed with me. Hidden behind all this food though, I thought I could discern the author's attempt to describe the different aspects of our lives and that of those around us, and how the two intertwine, sometimes without us knowing. She succeeds in doing so by interchanging chapters of the main character recalling his encounters with the different types of food and of the people around him and how they regard him, offering thus a peek into this personality - pleasure (of food) and pain (of the person). I particularly found the chapters of the family members very moving, referring to the love/hate relationship towards the main character. 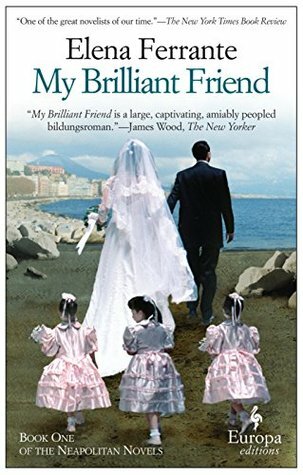 All in all, it was a pleasant book - I will however reserve judgement on the author until I've read her second book, L' élégance hu hérisson (The Elegance of the Hedgehog), which I'm told is extraordinary. I have always been a big fan of vampire novels. 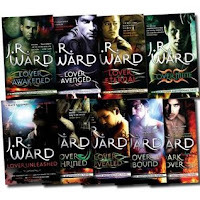 I faithfully read the Lestat series by Anne Rice, was reading Sookie Stakehouse's adventures before they were turned into a TV series (True Blood) and have even read the Twilight series, but my favourite are the Black Dagger Brotherhood novels, by J.R. Ward. When I started reading book blogs, a couple of years ago, I was constantly coming across references to the vampires of the Black Dagger Brotherhood (BDB for the fans). Avid fans refer to this series as 'crack'. There are blogs and facebook pages devoted to BDB where fans dissect each book, their favourite brother and discuss which actors they would like to see playing the different characters if the series was ever transferred to movies. So I decided to see what the fuss was about and bought the first novel 'Dark Lover'. 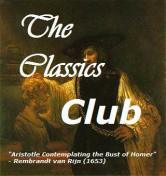 I started it reading it one evening and I have to admit that I did not get much sleep that night. I was hooked. I immediately rushed out to buy the rest of the series, which I devoured and avidly await each new addition. The novels focus on the Black Dagger Brotherhood, a group of 'highly trained vampire warriors who protect their species against the Lessening Society. As a result of selective breeding within the race, the Brothers possess immense physical and mental strength, as well as rapid healing capabilities.' Each novel focuses on one warrior and his mate against the backdrop of their ongoing war with the Lessening society, an 'order of slayers convened by the Omega for the purpose of eradicating the vampire species', and vampire politics. The mythology is very straightforward and easy to follow, unlike some other paranormal romances where elaborate timelines and background notes are sometimes necessary to follow the books. It's fun going on a shopping spree. It's especially fun going on a shopping spree at a book festival - it's Paradise!! (yes, first experience, please forgive...). So, when Patricia told me of the Book Festival in Leuven, I knew I would have a great time. 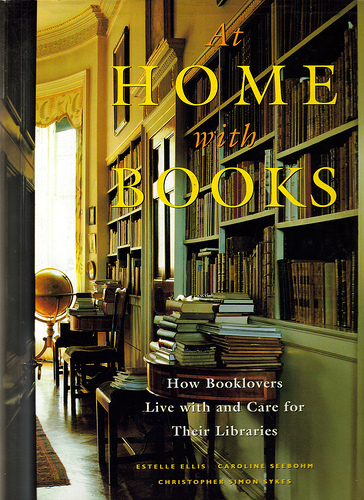 Quite close to home, plenty of space for whatever one can imagine about books. I was prepared however: I had one sturdy bag with me for any heavy coffee-table books, and a couple of linen bags for the rest. I can only recommend this experience. The vastness that is a book festival and the variety of books - not to mention the prices, which are really very low - make it worth the while getting up early in the morning and setting out for the excursion. The excellent organisation as well of such an endeavour means that there is a book trolley at my disposal and plenty of space to walk around at ease and browse the titles. And that's how I got my first loot! Very good experience, to be repeated as soon as possible! For literary purposes, I got Ian Rankin's Watchman, Ernest Hemingway's For Whom the Bell Tolls and Maggie O'Farrell's The Vanishing Act of Esme Lennox. For my other interests, I got a book on Indian Cooking and Nicky Epstein's Signature Scarves - Dazzling designs to knit. The size of the book did not hinder me from starting with gusto! This novel starts off so beautifully and before long, pages started flying away, chapters went by ... and I was left perplexed. Did I like the book or not? I just couldn't tell. This is the first time something like that has ever happened to me, so I was quite at a loss. In discussing this with other people, I soon discovered that I was not the only one. But why? Something as simple as liking a book (or not) surely should be evident. It was only when I started reading another book in parallel (that was the exact opposite of this one) that I discovered what the matter was. The book has excellent content and the research carried out is extensive - and this alone makes me love it. The information on the Japanese Empire of 1799, the lives and mischiefs of merchants, courtesans and interpreters, the corruption among the Dutch East Indies officials were all there to ignite my imagination. What is lacking however, at least for me, is the eloquence. So much is lost in the transcription of all the stories happening to de Zoet during his stay in the Orient. I cannot feel the passion, the tension that I would imagine was happening to someone "invading" a culture so foreign, so closed to outsiders. The writing style and tone is constant throughout the book and this makes the characters in the book colourless, odourless, tasteless. (The most colourful characters are the minor ones...). As I was reading of the adventures, I was constantly surprised that they were described as a "matter of fact". I wanted the highs and lows, the vibrant colours, the excitement, the lure of anything oriental... Alas, it was not meant to be. It seems like several (perhaps too many?) stories start throughout the book, but are never finished. Characters or relationships are not developed enough so that I could make almost no sense of the actions. 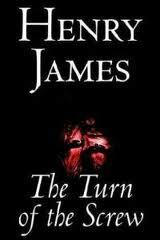 I've heard so many things about The Turn of the Screw, and about its being the first horror/suspense fiction. I've also heard about the movies that are based on it, so I've decided to tackle them both: read the book, watch "The Innocents". The book is primarily the diary of a governess that is being read aloud during a Christmas Eve gathering by the fire - already the setting is ideal for attracting the suspense type of story-telling. A governess new at a place, discovers secrets about her predecessors in the house, her master, as well as about the children in her charge. Normally, these components would be sufficient to keep my interest quite high. Being a diary, however, I also felt that, at least in the beginning, the tone was very calm, and I wondered whether the effect would lose its edge because it was not experienced first-hand, but rather described. The only complaint I have is that I only got to read one side of the story - the governess'. Especially for the children, I did not feel their characters were fully developed in the story, while they are supposed to be the main actors of this relationship (if there was one) with Quint and Jessel. Perhaps that was why I can analyse the whole story from two almost different perspectives - the ambiguity is due to the "secrets" left unsaid. But, on the other hand, perhaps that is exactly the purpose of this story! In addition, I still can only read with the list of the characters beside me -- as well as the relationships between them! Very interesting attitude towards life - nothing precious, we all "may die in your bed or God may spare you in a battle"
After reading Alex's review of Elizabeth and her German garden, I knew I would have to read it as well. If a non-gardener thoroughly enjoyed it, I thought, I would simply love it, given that I'm an avid gardener! 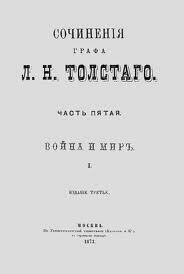 (That, and the fact that it was available from the Gutenberg project made my choice fairly easy). Reading this book is very relaxing - there are no serious (at least not very serious) ideas coming through, and I have to say it's really like reading a diary. At times I did feel uncomfortable peeping into the world of someone else (I might as well have taken her diary...), but on the whole I was able, with this book, to shut the outside world and its troubles! At first, I thought that it was a contemporary book. Until I got to the part where she mentioned that as a woman she could not inherit her father's house, I would never have guessed that it is that old (I hadn't read her bio at that point). The sentiments towards the garden, of willing solitude, of comfort, of home away from home, all these and more I could easily see in myself and my garden today. "I can understand her disliking Irais, but she must be a perverse creature not to like me"
but also fairly naive, especially in the presence of her husband, the Man of Wrath - of course, one has to bear in mind the time in which the book was written as well as Elizabeth's situation: privileged, sheltered and solitary. I admit I found her relationship to her three children, who she names the April, May and June babies, rather peculiar, as she seems to prefer to have her quiet moments in her garden rather than tending to them. And in general, I felt a slight sadness on her part when not in the garden, something I cannot relate to. I find that the garden and my books are only one part of me, which I enjoy as much as all the other parts of my life. "if Eve had had a spade in Paradise and known what to do with it, we shold not have had all that sad business of the apple"
"... and shelves and shelves full of - I was going to say books, but stopped. 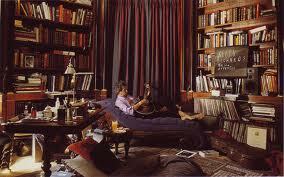 Reading is an occupation for men; for women it is reprehensible waste of time." "If you are not careful, April", I said, "you'll be a genius when you grow up and disgrace your parents"
When reading this book, one should not look too deep for "political correctness". Rather, I would look at the joy and gratitude and love of the beauty found in nature. Elizabeth rediscovers herself in her garden, and I rediscovered myself in mine too. A gentle, light-hearted, lovely book to read. Pygmalion by G.B. Shaw has been one of my favourite plays on screen, both in the 1938 and the 1964 versions. I recently also had the pleasure of watching it on stage in London with R. Everett, K. Tointon and D. Rigg. After such an overdose of visual, it was time for the written word to see what the author himself has in mind. With this myth in mind, I set off to reading this play and already I was perplexed - I could not find any romantic predisposition in Shaw's work - everything is so "common" with the details of everyday life, with all the faults, insecurities and expectations. "The rest of the story need not be shewn in action, and indeed, would hardly need telling if our imaginations were not so enfeebled by their lazy dependence on the ready-mades and reach-me-downs of the ragshop in which Romance keeps its stock of 'happy endings to misfit all stories." I had intended to read my 1949 printed copy but soon realised that current versions have much more content (I have no idea why in the 1950s they would take out pages, but there you go...). As a result, I'm reading it on my Kindle, but go back to the printed version to read the commentary section in the beginning of each chapter! The transition from printed book to e-book is also my official excuse for having actually read so little..
One great advantage of participating in challenges is that I get to read books I would perhaps not even have considered. In the What's in a name challenge, for example, I had to search for books whose title would include something carried in a purse. I thought of a diary and so stumbled upon this book. I was intrigued by the title of this book, the Diaries of Adam and Eve, as translated by Mark Twain. Did he really intend to write something on (the trials of) domestic bliss? How would that book compare to the likes of Huckleberry Finn and Tom Sawyer for which I had known him? That was when I started reading first about the author, and discovered that, apart from children's books, he was a well known satirist and social commentator! Now, I was really interested in the book! The diary entries of Adam and Eve provide an insight into the first days of their lives, before the serpent appeared (...) and how they come to terms first of all with their existence (they're experiments and creatures) but also with each other. The living arrangements are depicted from two very different perspectives and Twain is a genius in making social commentary in such an efficient manner that passes as humour. The realisation that Adam and Eve are a "we" makes Adam anxious, as he starts recalling the nice quiet there was when he was alone (so he did exist before Eve - Twain kept the chronology right) while Eve uses it from the first instance (social prejudice, I say). He moans about getting rest only one day, instead of the whole week, while Eve creates fire... (in most of the couples, I do see the women being the organisers of things, while when I see men on their own, they lead a very care-free lifestyle...). "It is not on account of his brightness that I love him—no, it is not that. It is not on account of his industry that I love him—no, it is not that. It is not on account of his education that I love him...It is not on account of his chivalry that I love him... Then why is it that I love him? I think I love him merely because he is MINE and is MASCULINE"
The very end caught me quite unexpected: "ADAM: Wheresoever she was, THERE was Eden". Twain finally captures the true essence of a couple - a close-knit team, going through life, making the best of every situation (at least that's how it should be). I found reading the Diaries very relaxing, but still with a few points that made me think deeper about the co-existence of men and women. But the revelation was indeed Twain himself, and I look forward to reading more of his witty books now! A bookclub reading, this was the third of four books I'll be reading on WWII and I believe the hardest to digest. In the Garden of Beasts, the first thing I noticed was the writing style of the author, which is simply excellent: each character is fully developed, for the most part with substantial evidence and with only minimal personal contribution, to the point that it really was overwhelming and difficult for me to continue reading about one naive father and one even more naive daughter thrown into the lion's den - Hitler's Berlin. The story begins just prior to the appointment of Dodd as ambassador to Germany. The US is still in the Great Depression era, with the result that noone wishes to take up this post in Europe, a post to primarily make sure that Germany would repay all the bonds to the US (100 million dollars - even by today's standards, a respectable sum). Dodd is the nth choice to go there, and already here I see (in my mind at least) the difficulty in accepting him as a serious personality: He accepts the post, thinking it will enable him to finish his book. 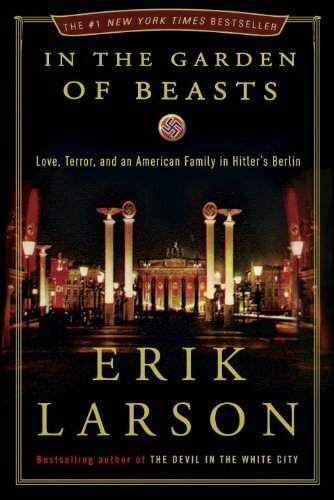 I can not describe enough the length to which Larson went to accumulate all the information to capture this era just before the full outburst of the Nazi regime. It's astonishing to read how "clueless" people in the US but also in Europe were when it came to the first indication of violence and the race towards absolute power. It's even more disturbing that people tended to agree with this attitude, claiming that "we sort of don't like the Jews anyway"
In this turbulent situation, Dodd is rather passive, a caricature more of a diplomat, who regards these incidents of violence as "one-off", given that they are carried out by "16-year olds who will soon tire and fade into history"
One word about the writer: while it was clear from the beginning that Larson is supportive of Dodd, his writing and presentation of evidence is so well thought-out and objective, that it allowed me to form my own opinion (I tend to dislike Dodd, in case you hadn't realised). One other character I thoroughly disliked: Dodd's daughter, Martha. I can understand that young girls at that time, the debutantes, strived for excitement and attention, but this one was naive beyond any limit. She seizes the opportunity of being an ambassador's daughter to go to dances, meet with Nazi authorities, and she becomes so dazzled with their charms that she can only see the good they will do to the emerging "New Germany" (that's before she turns to Soviet intelligence and communism). Obviously, I'm speaking from a point where I know how the story ends, but I did try to imagine how people felt at a time when the first bouts of violence were actually carried out. Certainly the information flux would not be as developed as it is nowadays, but surely in the circles of diplomacy news would travel fast. Was there no warning sign? How would people content themselves thinking that "... reports must be exaggerated, surely no modern state could behave in such a manner".